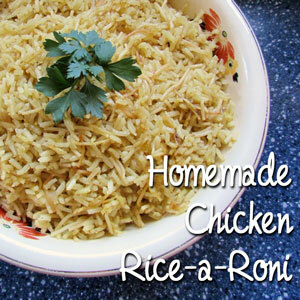 Homemade rice a roni… CHICKEN! i love this stuff, however the store kind uses vermicelli rather than angel hair pasta. that’s simple enough to purchase, as well. if you are vegetarian or vegan, simple replace the chicken broth with vegetable broth. easy, peasy. click the link for all the info in the original article.